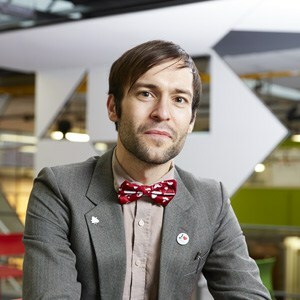 Hi, my name is Sam Illingworth, and I am a Senior Lecturer in Science Communication at Manchester Metropolitan University. My research involves looking at the ways in which different media can be used to connect science and the rest of society, and one of those ways is through poetry. Every week I find a new piece of scientific research, read the journal article that describes it and then write a poem that tries to summarise the research in an accessible and entertaining manner. Some of the poems may be faintly melancholic, some of them may raise a smile, and hopefully all of them will make you think. Thanks Rachel. Really glad you enjoyed it, and thanks so much for coming. ? Woow!! This is the first time in a while that I feel so identified with what I would love to do: express myself in beautiful writing and keep science as part of my life.